Citroen's all-electric small car. Zero tailpipe emissions. No VED and no fuel costs. Free to drive into central London congestion zone. Range is 80 miles. Expensive. Tight inside. Huge cost of replacement batteries effectively writes the cars off. 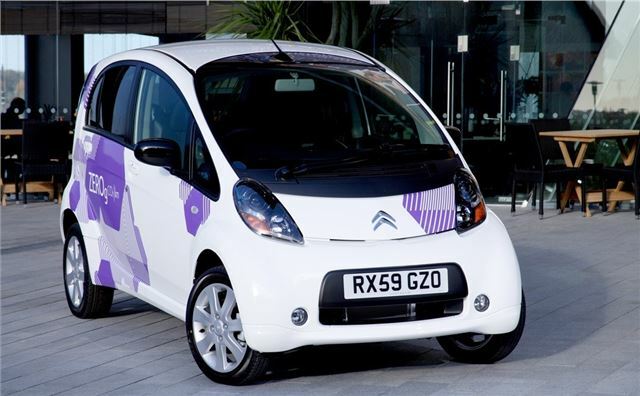 Report of total battery failure of 2013 Citroen C-Zero. PSA quotes 18,000 - 22,610 Euros + tax for the full Yuasa battery pack, but sometimes only one or two cells need replacing. Mitsubishi i-MIEV all electric rebadged as Citroen Z-ZERO, offering zero fuel consumption, zero CO2 emissions and zero engine noise. Launched last quarter of 2010.